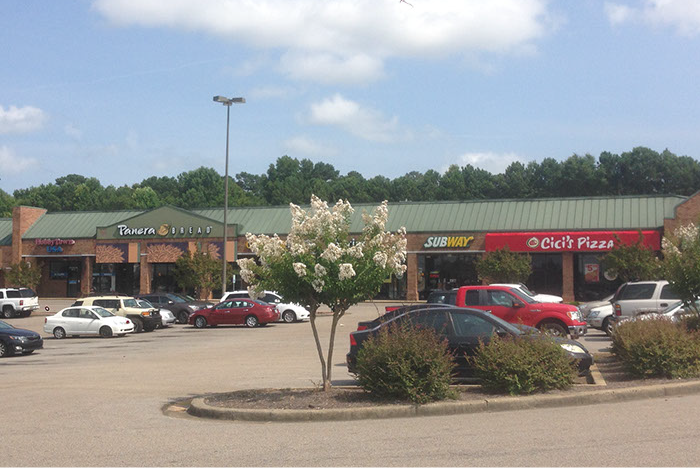 Auburn, AL – Merchants Retail Partners (MRP), a Birmingham, Alabama based real estate investment firm, recently led the acquisition of Flint’s Crossing in Auburn, Alabama on behalf of their related investment partner. The 100,000 square-foot shopping center is the cornerstone of the busiest intersection in Auburn at 1550 Opelika Road and University Road. Gourmet grocer EarthFare and Panera Bread anchor the center. “This acquisition is consistent with our grocery-anchored investment strategy throughout the Southeast,” said Bill Leitner, Principal of Merchants Retail Partners. “MRP and its Principals have planned a comprehensive redevelopment of the center that includes exterior renovations, fascia and signage upgrades, and hardscape improvements.” The acquisition and center improvements coincide with the intersection improvements that are part of the City of Auburn-Opelika Road Improvement District. The intersection improvements include new bike paths, pedestrian sidewalks, enhanced lighting, and curated landscaping, all which further enhance the significant traffic volumes in front of Flints Crossing. The metro area has a population of over 151,000 and is home to Auburn University where enrollment tops 24,500 students. Annual job growth is estimated at 3.7%. Auburn has received recent business and livability accolades from Forbes, Bloomberg, U.S. News and World Report, CNNMoney, Milken Institute and The Princeton Review.